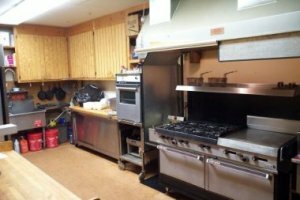 The Tewksbury Rod & Gun Club has a 125 person capacity function hall with kitchen facilities. This function hall is used for club sponsored events such as dances, Annual Game Supper, and the Annual Family Outing. 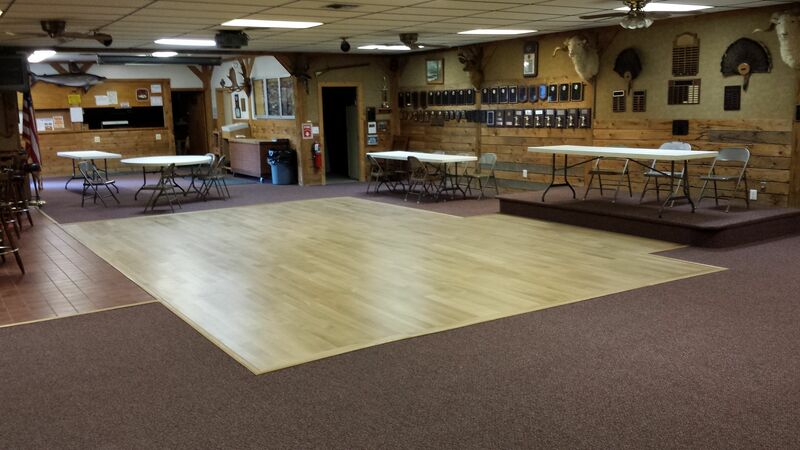 The hall has a 16 by 24 foot newly renovated oak dance floor and a raised platform to facilitate DJ's. The hall is available to members for rental for a nominal fee on a "first come first serve basis". If you are a member, and would like to rent the hall, please fill out an Application and bring it to the Bar on any Tuesday Night Meeting... The member renting the hall is responsible for all guests and must be in attendance for the function. The member is also responsible for all clean up and any damage incurred.